7 3/8 x 7 5/8"
a series of animal and figure subjects that Scott did as part of the decorative scheme for Penkill Castle. signed with her monogram l.r. 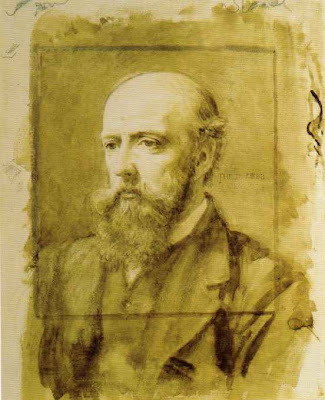 As a memorial to her lover, Alice painted this copy of a culpted portrait of William by Alexander Munro that was exhibited at the RA in 1854. 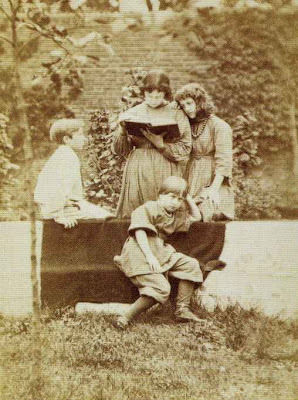 The original sculpture was put on William's tomb in Old Dailly churchyard, but Alice made this copy. 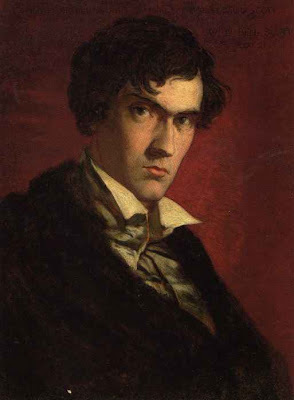 David Scott was William's brother, when William was 21. 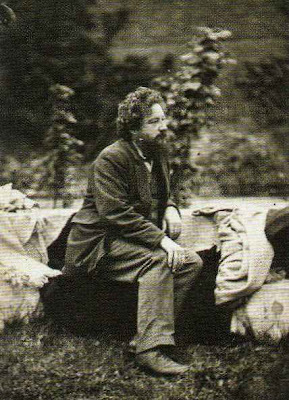 Arthur was a close friend of William's and a frequent visitor to Penkill Castle where William was the lover of Alice Boyd. 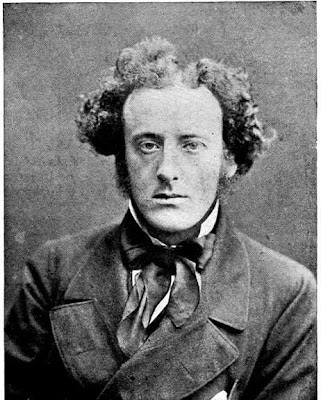 5th Earl of Rosebery, was a British Liberal statesman and Prime Minister. 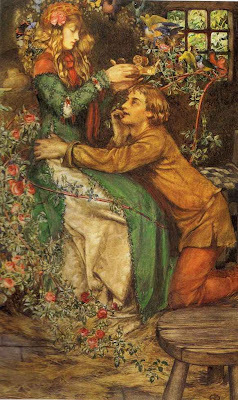 The romantic visions of the Pre-Raphaelites. 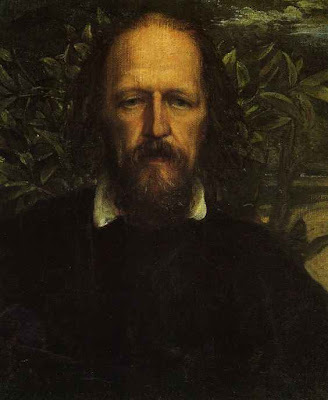 The classical myths and poems penned by Homer and Ovid, Keats and Tennyson. 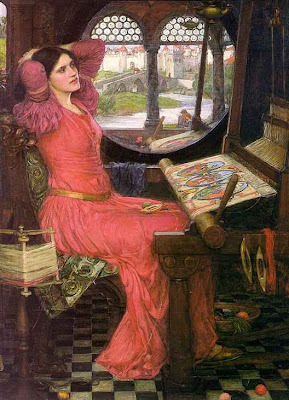 And femmes fatales including Circe, Cleopatra, Miranda and Ophelia. If this is your stuff, then pay attention: "J.W. 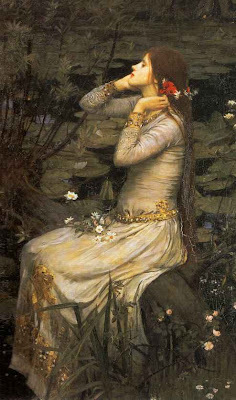 Waterhouse: Garden of Enchantment" opens at the Montreal Museum of Fine Arts, Oct. 2, 2009-Feb. 7, 2010, featuring approximately 50 paintings in a show organized by the Groninger Museum in the Netherlands in collaboration with the Royal Academy of Arts and the MMFA. 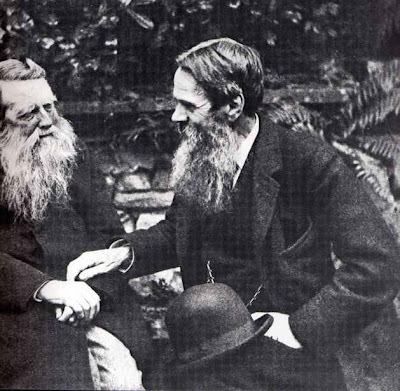 Ruskin (left) with Holman Hunt in Ruskin's garden at Coniston not long before his death. 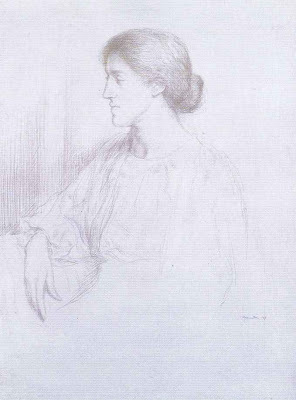 Daughter of Ford Madox Brown and wife of Michael William Rossetti, friend to the Morrises', Marie Stillman and Algernon Swinburne. 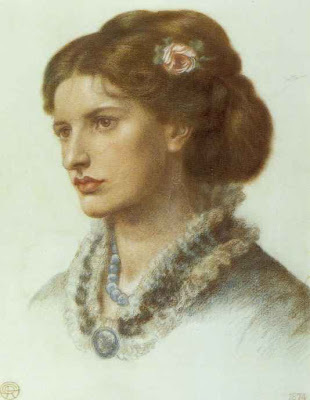 Born in Paris but when her Mother died whilst she was still young she was partly brought up by the Rossetti's. 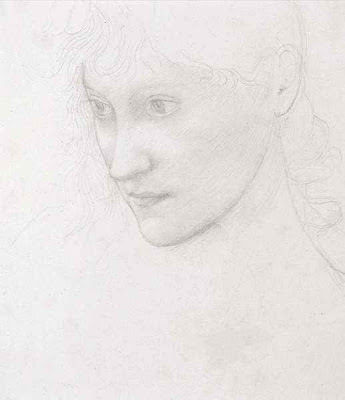 She was only 15 when she became engaged to Burne-Jones in 1856. 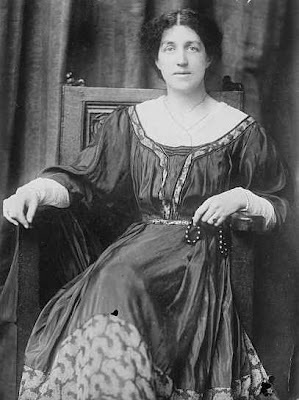 She was known in her circle as Georgie and wrote a two-volume biography of her husband. Small in statue but very strong minded she was the daughter of a Methodist Minister in Birmingham. 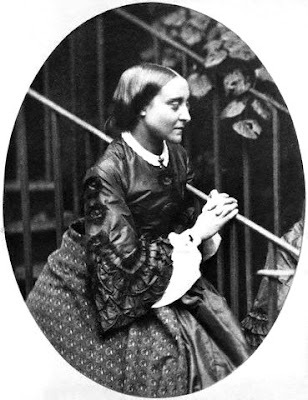 She was a very good musician and had studied illustration with the intention of becoming a wood engraver. 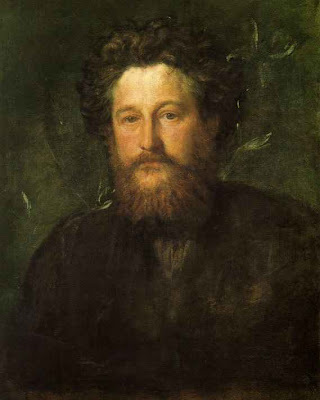 She was good friends and a staunch supporter of both Algernon Swinburne and Simeon Solomon at a time when both were outcasts to Society, but her real friend (perhaps soulmate is a better term) was William Morris. 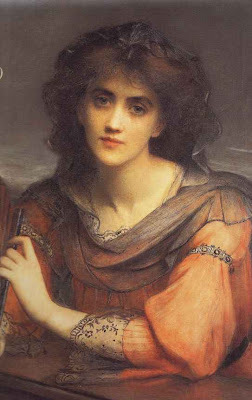 She helped found the South London Art Gallery. 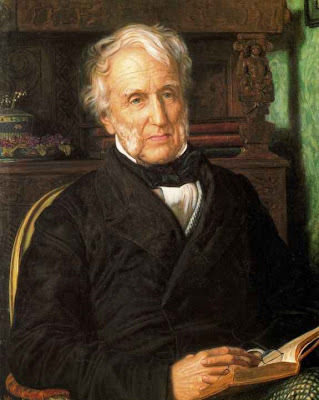 Hunt considered it one of his best portraits. 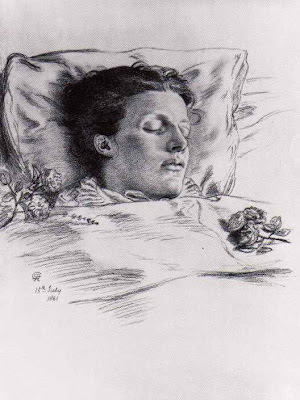 A sketch of her just after she died by Rossetti in 1861. Seems odd to us now, but a common practice at the time. 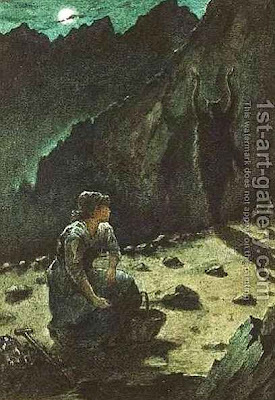 Not dated, but exhibuited in 1905. 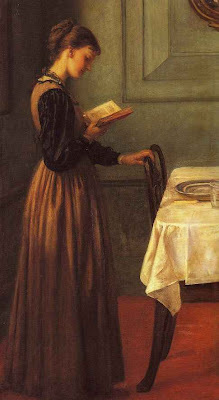 Inspired by the PRB style and a poem of Robert Browning's. 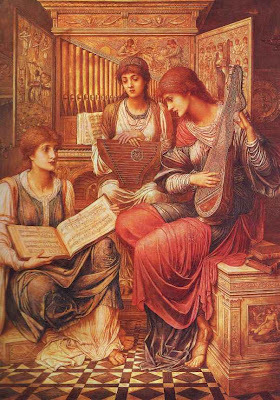 Strudwick worked as a studio assistant to both Burne-Jones and Spencer Stanhope and was influenced by both. 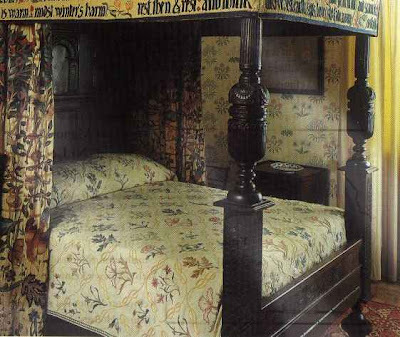 He is noted for his use of space and amazing attention to detail. 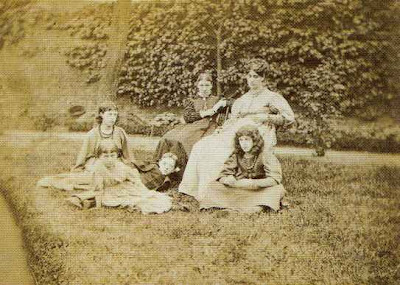 But note the feet of te woman on the right which are just - wrong! 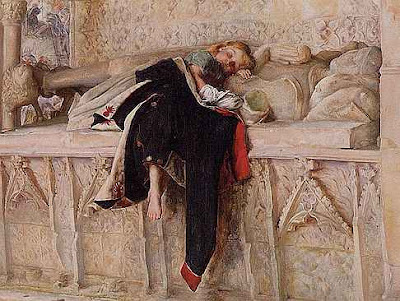 Inspired by Ophelia from Shakespeare's Hamlet. 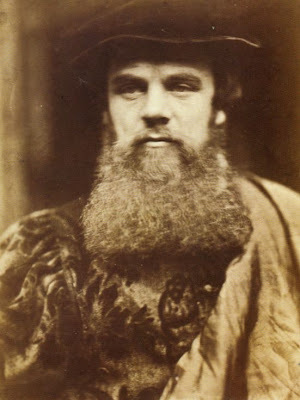 One of Waterhouse's last pictures, completed the year before he died. 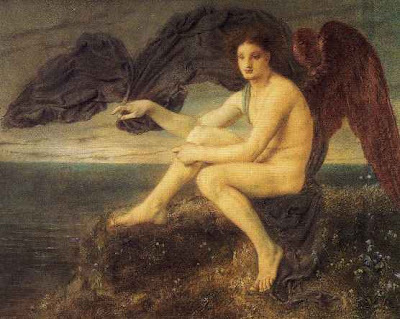 The inspiration was from Shakespeare's The Tempest. 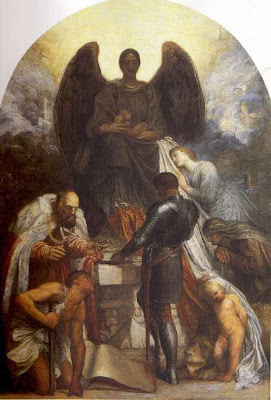 Notice the very clever and unusual composition, placing the corpse of the 12 year old saint straight in yiour face so to speak. The dove represented her soul winging its way to heaven. 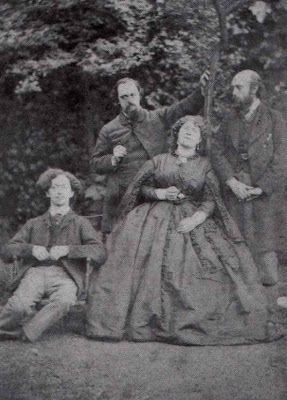 Showing quite clearly here her debt to Burne-Jones who she greatly admired. 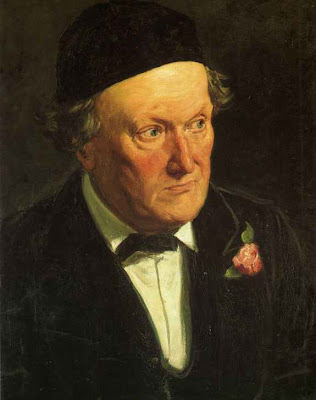 Like him she worked chiefly in gouache. 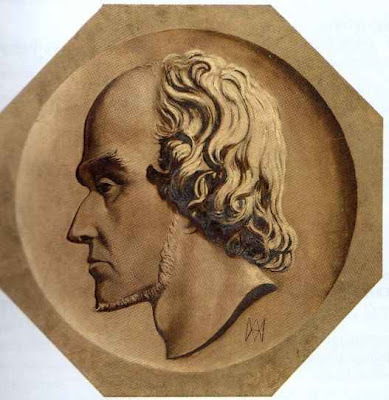 Halle was ill in his youth and spent a lot of time travelling, especially in Italy and Venice. 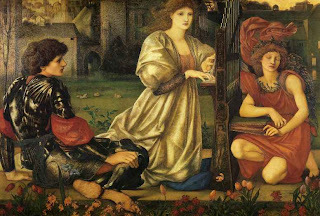 But by the 1860's he had returned and was working as a portrait painter - and met Burne-Jones and Rossetti - though he is often classed as a member of the Aesthetic movement which followed and was influenced by the PRB. 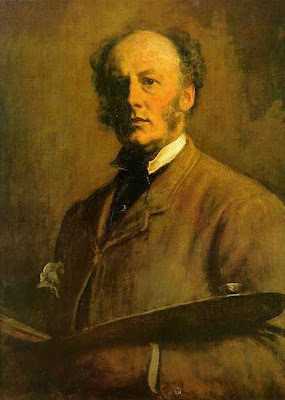 Halle helped set up the Grosvenor Gallery with Sir Coutts Lindsay which became the centre for the Aesthetic artists and was much frequented by Oscar Wilde. 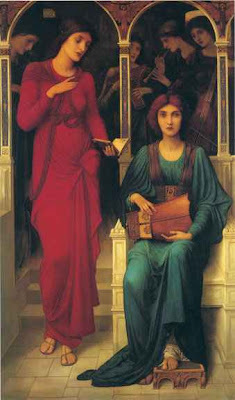 Another of his works which links the PRB and Aesthetic movements. 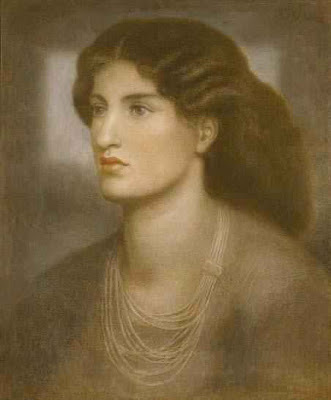 The theme is from Dante and Rossetti was also keen on this subject. 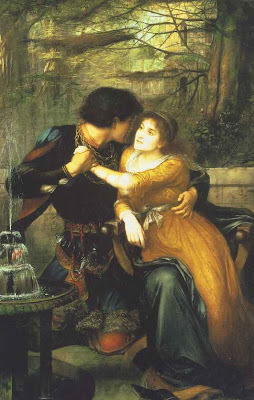 notice the simple, loose clothing, very unfashionable at the time but popular in Pre-Raphaelite circles, based on Medieval and Renaissance styles. 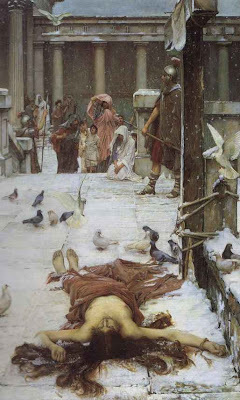 A very powerful painting, almost an essay on the states of decay. 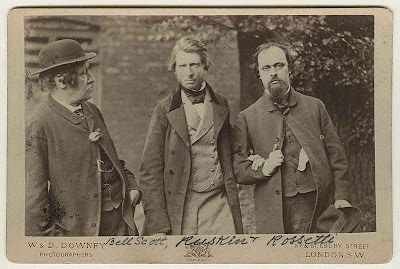 G F Watts lodged with Prinsep's parents and encouraged him to become a painter, and he met Rossetti at the age of 19 in 1857. 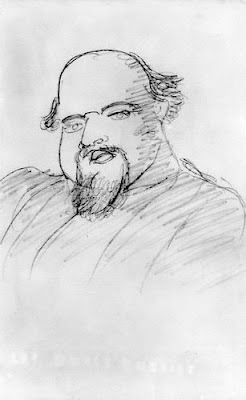 In his early paintings he was clearly influenced by Rossetti but this picture shows him developing his own style. 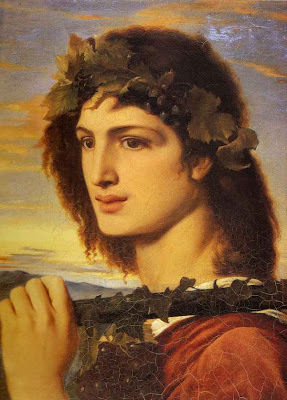 The colours were inspired by his travels in Italy. 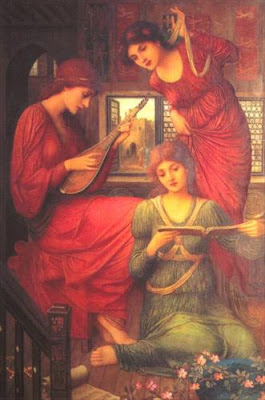 Two versions were painted and this version on oil was much admired by Burne-Jones. 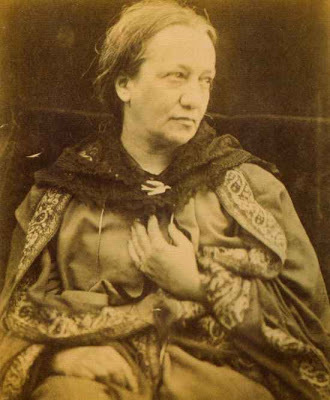 Modelled by a London actress - Miss Clive (Mary Emma Jones) who was also his lover and mother of his ten children! 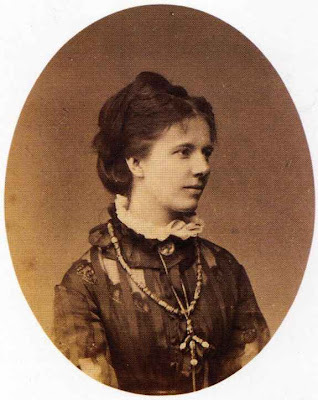 She was renowned as one of the greatest beauties of her time. 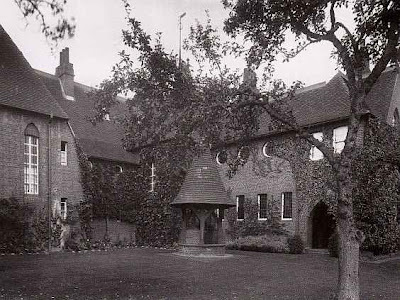 It was begun whilst a poor Sandys was living with Rossetti in Cheyne Walk (London). 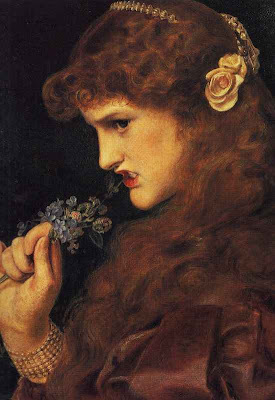 Unfortunately Rossetti accused Sandys of plagiarism.